FRANK ATHELSTANE SWETTENHAM was born near Belper, in Derbyshire, on 28 March 1850, the youngest child of James Oldham Swettenham and his wife Charlotte Elizabeth Carr. Though the boy came to know his father better later on, his early years were spent almost entirely in the society of his mother, who besides lavishing upon him all the loving care that a mother often devotes to a youngest child, gave him in addition the only formal education he was to receive up to his tenth year. And then, in 186o, for reasons that are not clear, Charlotte Swettenham left the Belper house and taking Frank and his elder brother Alexander with her, went to live in Scotland. There, scarely a year later, she died, leaving the boys in the care of an elder sister. Though there is little enough evidence on the matter, it seems likely that the young Swettenham was less able at his school work than at sports and games of all kinds, in which he was a skilled and enthusiastic participant. His brother Alexander, who was in the Ceylon Government Service, persuaded him to try for a Cadetship in the Straits Settlements Colony. This in due course he did, making a very good showing in the competitive examination and coming second out of about twenty candidates. 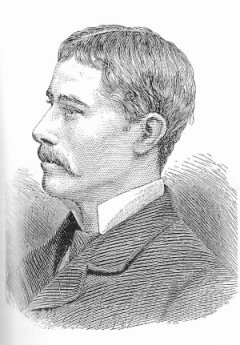 So it was that in January 1871, at the age of twenty, Frank Swettenham arrived in Singapore to begin his professional life. Singapore in the early 1870's was already well established as a thriving, cosmopolitan port-city, wholeheartedly dedicated to the advancement of its own commercial interest by any means that came to hand. Though escape from India Office control in 1867 had not led immediately to all the ad-vantages envisaged by the mercantile community, there was a new spirit of confidence and enterprise in the air. Many of the island's leading citizens made no secret of the fact that they looked to the peninsular hinterland for future business expansion. Society—that is to say, of course, European society —was well-to-do, cheerful, snobbish, and solidly expensive in its tastes, a sort of expatriate cross between Manchester and Bournemouth, with its industry and acumen, its love of rich food and drink, its genteel ladies and its band concerts on the esplanade. People were hospitable, too, and the young Swettenham, who was nothing if not personable with his tall good looks and his love of riding and outdoor sports, found himself included in many pleasurable entertainments. He was by no means, however, an idler, and finding that his first tasks were to familiarize himself with the work of the various government departments and to learn Malay, he applied himself with particular diligence to the latter, passing his Interpreter's examination some fifteen months after his arrival in the Colony. A large part of the credit for this was certainly due, as he himself acknowledged, to his teacher, Mohd. Said b. Dada Mohyiddin, well known as editor for twelve years of the first Malay newspaper, Jawi Peranakan, and as the author of a number of Malay school books. But if life in Singapore was pleasant and stimulating enough in its way, it was scarcely sufficient to satisfy the energies of a young and active man, and when opportunity arose to visit one of the peninsular states Swettenham was quick to take it. This trip to Selangor in 1872, in company with J.G. Davidson, was his first foray into the lands which were to make his name for him, and which he himself was to influence so strongly. The west coast states, though not exactly terra incognita, were still relatively unknown outside their own borders or the company of merchants and miners keen enough to risk their capital or their lives there. As report in Singapore and Penang frequently confirmed, however, both Perak and Selangor were in a state of turbulent unease, quarrelled over by contending Malay and Chinese factions anxious to control either the throne or the tin, and subject to sporadic outbreaks of piracy, lawlessness and mayhem. Scarcely six months after Swettenhams' own arrival in Singapore, the death of Sultan Ali in Perak had precipitated a long drawn out struggle for power in that state, which became inextricably intertwined with feuds taking place over the rich tin deposits in the district of Larut. It was this contest which led eventually, upon the initiative of the new Governor of the Straits Settlements. 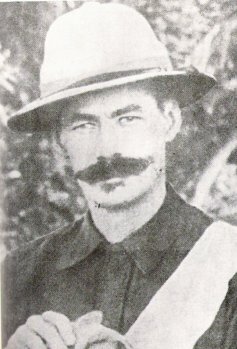 Sir Andrew Clarke, to what is often modestly described as `British intervention' in the internal affairs of the Malay states, and to Swettenham's subsequent role in these affairs. The events surrounding the meeting of Clarke with Perak Malay chiefs and Chinese society heads on Pangkor Island in January 1574 are too familiar to need repetition. Swettenham, whose proficiency in Malay had been further improved by a spell as Land Officer in Province Wellesley-, was called upon to fetch the Mantri and others from Larut, and to assist at the discussions. It is usually said that he and Munshi Mohd. Said were together responsible for translating into Malay the English text of the resulting Pangkor Engagement. And once the meeting was over, Swettenham was appointed, together with W.A. Pickering and Captain Dunlop, to the Commission set up to settle the mining dispute in the Larut area, a task involving a long and trying journey through unknown country, of a kind at which he was now becoming expert. It is clear that already, at the age of twenty-three, his considerable talents and forceful personality were being re-cognized by his superiors, and that the Governor in particular greatly valued his assistance with the Malays. Further recognition was not long in forthcoming. Having settled affairs in Perak, Sir Andrew Clarke turned his attention to Selangor, where the state of the public peace was almost equally precarious. 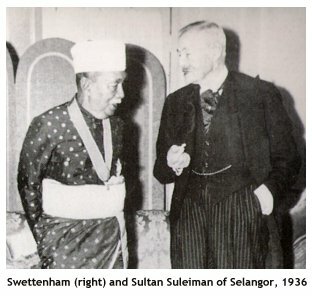 Prompted by one particularly serious act of coastal piracy, and sceptical of Sultan Abdul Samad's willingness or ability to keep order in his own state, Clarke paid two visits to the Sultan, on the second of these occasions leaving Swettenham behind at Langat to afford the ruler moral support. This he did to such good effect that within two months the Sultan had written to Clarke saying of the young man that `He is very clever; he is also very clever in the customs of Malay government and he is very clever at gaining the hearts of Rajas with soft words, delicate and sweet, so that all men rejoice in him as in the perfume of an opened flower'. In addition, and somewhat as an afterthought, the Sultan said that he was prepared to make over the management of the state to anyone the Governor cared to appoint, and to pay their salaries as well. By the end of the year, though no written agreement had berm signed as in Perak, Swettenham was being officially described as Assistant Resident of the state, with his old friend J.G. Davidson as Resident not far away in Klang. Swettenham lived on his own at Langat for more than a year. During this time, however, he was far from being simply an idle spectator or an eminence grise at the court of Bandar Temasha. 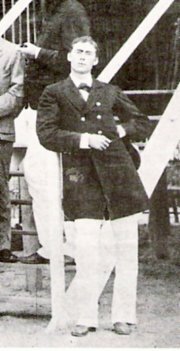 In addition to playing some part in the intrigues which led to the reduction of Sungei Ujong to protectorate status, he was ceaselessly active in the exploration of Selangor, travelling the length and breadth of the state by water and on foot, examining the resources of the land, its villages and people, its rivers, plantations and mines. It was by no means unusual for him to cover twenty miles or so a day along ill-kept jungle paths and through rougher terrain, accompanied as a rule by only a few Malay assistants, accepting the hospitality of villagers en route or sleeping with the boat moored to the bank when travelling by water. In this way did he come by the very detailed knowledge of the territory and its people which was to serve him so well when he became Resident of the state during its years of expansion some time later. But the Resident system, that extraordinary device for running another people's affairs by tendering `advice which must be acted upon', was still in its infancy, its modes of procedure still being worked out, sometimes by men much less aware of Malay feelings than Swettenham was. One such, of course, was J.W. Birch, first Resident of Perak, who was murdered on the Perak River in November 1875, while he and Swettenham (on loan from Selangor) were posting proclamations which came close to annexing the state altogether. In the punitive expedition that followed, Swettenham played an active and enthusiastic part, for which he was afterwards thanked personally by the Governor, and rewarded with the role of prosecutor in the trial of those responsible. These stirring years, from 1874 to 1876, were followed for Swettenham by a period of relative quiet (though not inactivity) as Secretary for Malay Affairs in the Singapore Secretariat, a post he held for the next six years, interrupted only by home leave in 1877. No doubt this appointment gave him a much needed opportunity to learn those techniques of systematic administration which, allied to his considerable knowledge of practical problems and possibilities, were to give him a head start when he was once again transferred to the peninsular states. In September 1882 he was appointed Resident of Selangor in succession to Captain Bloomfield Douglas, `a brusque, autocratic naval officer of modest ability', as one historian has described him, whose term of office had done little to prosper the state. With Swettenham's arrival everything changed. Always and increasingly a believer in the magic of material progress, he pursued the development of the state with a boldness and energy which completely reformed the administration, helped to lay the foundations of modern Kuala Lumpur, established the first railway (from Kuala Lumpur to Kiang) and within the space of a few years vastly enlarged the revenues of the state. 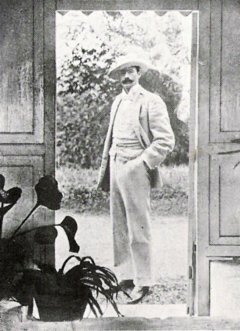 That he was less concerned with progressive social policies is manifest—he seems, for instance, to have thought the principal value of education for Asians to be the inculcation of `habits of orderliness and punctuality'—but scarcely extraordinary given the nature of the man and the climate of his time. In 1889, Swettenham succeeded Sir Hugh Low as Resident of Perak (where he had served in an acting capacity some time earlier) and remained in this post for six years. During this time he (and others) were becoming increasingly aware of a growing need for some closer association between the several Protected Malay States, in the interests chiefly of administrative uniformity. By the early 1890's there were four such basic units—Perak, Selangor, Pahang and the Negri Sembilan (though the last were still to some extent sub-divided)—each with its own Resident, its own legislative apparatus and administrative practice, separate budgets and greatly varying economic fortunes. In later years some dispute arose about who thought of federation first, but the point is of no great moment here, and whatever else is said Swettenham was certainly one of the earliest and strongest exponents of what was perhaps a rather obvious idea from the British point of view. For the Malay rulers, however, the advantages were nowhere near so clear, and a good deal of time was spent during the year or so preceding federation in discussing how best to persuade them The man who knew the rulers most intimately, and presumably had most influence with them, was Frank Swettenham, and the Governor pro-posed that he be sent round to each of them in turn to explain the scheme to them and obtain their signatures to the federation agreement. On 6 June 1895 a telegram was composed in Whitehall which read as follows: `In reply to your confidential despatch 1 May mission Swettenham approved. In fifth section of agreement substitute for federacy federation'. By one of the eerie whims peculiar to the compilers of code books, the version actually sent read: `Dayspring ironshod knitting Swettenham approved. In fifth profitable agreement resistless federacy enraptured'. It would, of course, be an exaggeration to describe the act of federation as Swettenham's `ironshod knitting', but the fact remains that his powers of persuasion were more than equal to the task set them, and that the rulers, if not enraptured, were certainly resistless in their acceptance of the new order. Swettenham himself, created Sir Frank in 1897, was appointed Resident General of the Federated Malay States, and served in this capacity until 1901, when he moved the last remaining step up the Malayan official ladder by becoming Governor of the Straits Settlements and High Commissioner for the Malay States. Three years later, while home on leave in England, he retired, thus concluding, as he himself wrote subsequently, `a rather strenuous service of over thirty years in an enervating climate'--a service which was, in addition, coterminous at every point with the establishment of British colonial rule in the Malay peninsula.